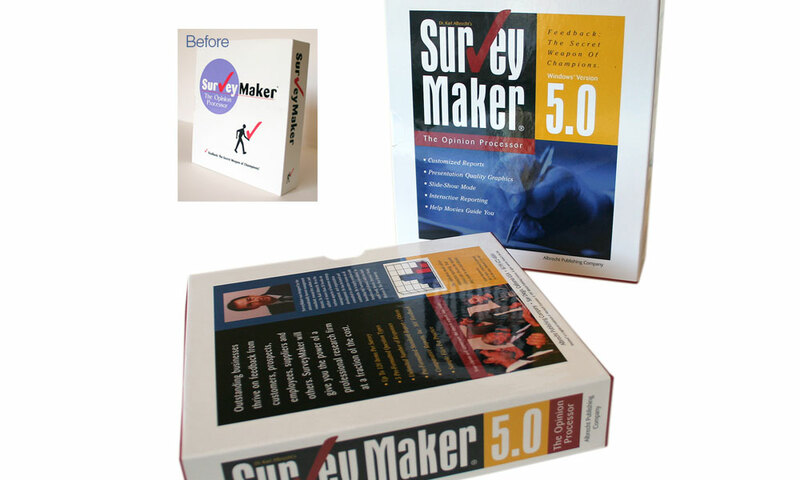 Karl Albrecht International produces SurveyMaker, an easy to understand and easy to use survey software solution and guide to the methods of conducting successful survey projects. This product contains practice data files, sample questionnaires, report builders, HelpMovies (animated demonstrations of key procedures) and more. BrainShine was asked to update the brand and revise the packaging and manual. We started with evolving the concept behind the logo, then we created a package design that was appealing to shoppers in the business software aisle. 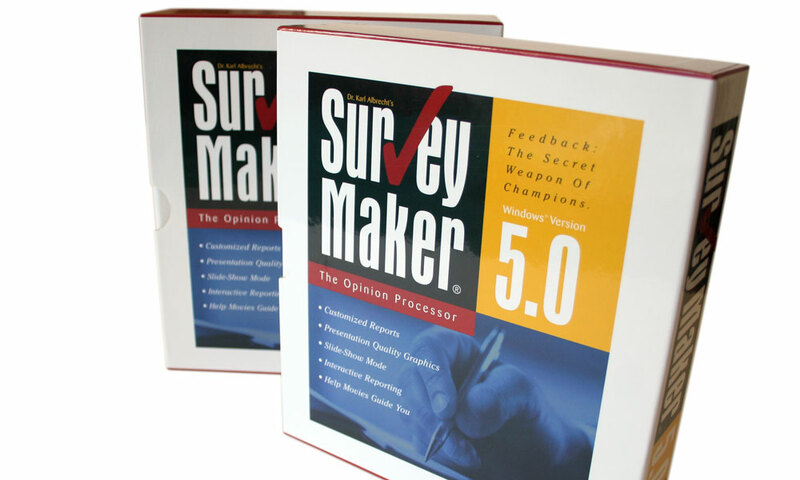 This design includes a slipcover, book/manual and survey software disc. BrainShine coordinated with a specialty packaging company (slipcover) and traditional printer (manual) to create the final package you see here.